I’ve always been intrigued bu the idea of loot crates. Over the years, they’ve progressively grown in popularity (with many YouTubers showcasing live openings) and on more than one occasion, I’ve seriously considered looking into subscribing. Shaun has gotten loot crates in the past, and the idea of getting free pop culture merchandise is so cool, but I haven’t been able to bring myself to get them even seeing them firsthand. I think the problem I have is that a lot of times, the items that can come in loot crates are completely randomized with a handful of specific themes. While there have been some video game loot crates, I think there’s room to represent many different video game series. Oh, Trails of Cold Steel. A series that came out of nowhere and completely blew me away, I started actively looking for merchandise about halfway through Cold Steel 2. 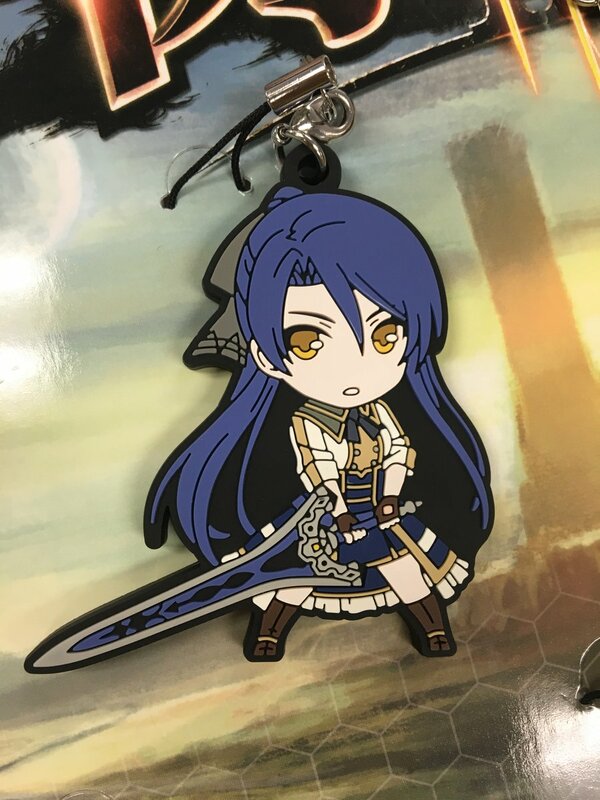 Unfortunately, there is next to no merchandise available in America, and I had to import my Jusis keychain from China as a result. It’s situations like this that make me wish that A) the series was more popular, but B) that there were loot crates for the game as well. There are a lot of things you could include in a loot crate for Cold Steel. Maybe a small artwork booklet showcasing the gorgeous artwork of the franchise, or a full set of Class VII chibi keychains. Pins, small figurines, and T-shirts would be a great addition as well. Really, a loot crate would be a great way to consolidate merchandise into a single place. Fire Emblem has really exploded in popularity in recent years, and with the huge success of Awakening, Fates, Echoes, and even Fire Emblem Heroes, I think the series has warranted a loot crate theme. When the Special Edition of Fire Emblem Fates came out, it came out with a small art book and keychains. While this was cool, I would love to see more merchandise representing games and characters across the series. I would wear Awakening T-shirts, and having small Echoes figurines would be awesome. Djinn figurines or keychains. The Djinn designs are a perfect blend of cute and distinct, and while I’ve seen a lot of well-done, hand-made figurines that fans have made, getting official merchandise from Camelot would be a dream come true. Even having cool T-shirt designs or cups would be a plus. While there are Final Fantasy loot crate themes that exist, the games of focus for these loot crates have primarily revolved around Final Fantasy X and later installments. I have a huge bias for Final Fantasy IX, and I think a loot crate themed around it would be awesome since there’s so little merchandise for the game. This could be a great opportunity to give more exposure to the game, and while there’s an art book, I think it could be updated to include more background and character art. 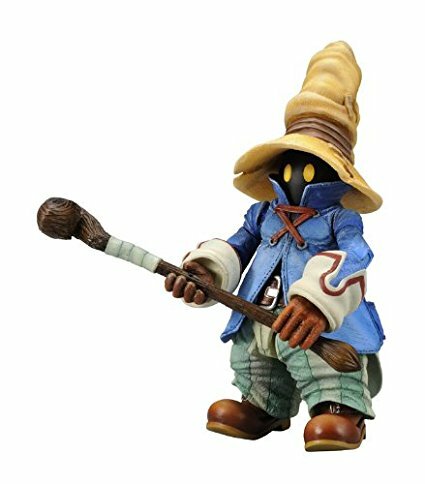 Small pins and keychains would be awesome too, but I would really want is an adorable figurine of Vivi. I think the biggest concern with subscribing to a loot crate subscription is getting items for series and genres that I enjoy, and if one day, they offered specific themes revolving around certain games could be what I need to take the plunge. until then, I’ll keep dreaming and working on expanding my collection of nerdy anime things through old fashioned online shopping. What I liked about any Loot Crates is the “surprise” you get in each box. However, the pitfall is also getting items you don’t really want. I’ve gotten a few things I didn’t really care for, which meant either giving them away to someone who would like them or it ending up in a back corner of my room collecting dust. I eventually stopped subscribing because it does get expensive overtime and I was starting to collect too many geeky things I didn’t really have the space for. I think I’d only subscribe again if there’s an upcoming theme I really have to have.